The Covington Presbyterian Church was organized in 1819 as a congregation in Lexington Presbytery. However, Presbyterian services took place in Covington as early as 1775 or 1780. The Presbyterian seed was sown in Covington by the Scots-Irish immigrants who found sanctuary from religious persecution in Scotland and Northern Ireland by settling on Virginia’s frontier, the highlands of the Appalachian mountains. These sturdy, determined settlers no longer faced religious intolerance but now other dilemmas that challenged their faith. The most notable of these was the constant threat of attack by Indians. The first house of worship was built about 1770. It was first used as a fort against Indian attacks. The structure stood on Main Street in the block north of the present post office. The building was also used by Methodists for worship and served as the first school house and first courthouse in Covington. The building was constructed of logs, seated about two hundred people and had a gallery with portholes through which the worshippers could defend themselves against an attack by Indians. Thus, the building’s original purpose was very advantageous to the safety of the early Presbyterians. These early worshippers would place a guard outside the building to warn the congregation of an Indian attack. Covington’s Presbyterian ancestry carried a Bible in one arm and a rifle in the other on their way to the worship service. Due to its location on the frontier and the relative scarcity of ministers in the area at that time, the early church was served by a minister, or circuit rider, only a few times a year. During the months of May and October of 1775 to 1780 the Presbyterian minister, the Reverend Edward Crawford, from the Cowpasture River area, was coming to this territory to preach, to celebrate the sacrament of communion, and baptize children for the families who were the pioneer Presbyterians of this area. Other ministers followed Reverend Crawford. They were Mr. McCue, Mr. Benjamin Grisby, Mr. Christopher Clark, and Mr. Robert Anderson of Rockbridge County. The first regular minister in Covington was the Reverend Jeremiah Burns. Mr. Burns served the church for ten years. Upon the termination of Mr. Burns’ ministry the church was served with the occasional preaching of Mr. Samuel Houston, Mr. Bard, Mr. Graham, Mr. George Baxter, Dr. John McElhenny, Mr. John D. Ewing, and Mr. Andrew B. Davidson. There being no resident minister for some time, the duties of the elder were very real and sometimes arduous. He visited the sick, having sometimes long distances to travel, and conducted such religious services as were held. Thus, the church elders were able to provide an organized, stable house of worship that met regularly for the community in the absence of a minister. The first minister called to serve the Covington Presbyterian Church was the Reverend John A. Vanlear, who served as minister for about four years. However, little is known about the period from 1823 to 1832. The Reverend Dion C. Pharr became the pastor in 1832 and served in that capacity until his death in 1852. Upon the arrival and installation of Reverend Pharr, only one elder and twelve members of the original forty-one remained due either to departure or death. They were elder Solomon Scouton and Mrs. Elizabeth Moore Scott, Mrs. Rachel Cameron Scott, Miss Julia Daggs, Miss Patsy Carpenter, Moses Hamilton Mann, Peter Dressler, Dr. Walker Merry, Mary F. Merry, John Holloway, Elizabeth Holloway, Thomas McCollister, and Jane McCollister. Reverend Pharr began to rebuild his congregation by first building a new house of worship. On December 16, 1833 a lot was purchased from F. H. Mays of Fincastle, Virginia for the sum of $100.00. The lot was situated on Main Street next to the business of A. A. McAllister and Sons Co. The new church building, an attractive brick structure, was completed in the latter part of 1834. The congregation worshipped here until 1896. Several other notable events occurred under the guidance of Reverend Pharr. Covington Presbyterian Church was one of sixteen churches designated by the Synod of Virginia to form the Presbytery of Montgomery on November 10, 1843. Palestine Chapel was erected in 1845 as a chapel of First Presbyterian Church of Covington. The land for the chapel was deeded by John Crow, who was the proprietor of the old Stagecoach Inn on what is now Routes 311 and 159. Covington Presbyterian Church also had a satellite church in Oakland. Oakland Church served as a Presbyterian mission from 1848 until 1871 when it was organized on its own, by authority of the Montgomery Presbytery, with fifteen members and three ruling elders. Oakland Church was subsequently the mother church of those at Clifton Forge, Low Moor, and Rich Patch. In April, 1845, Reverend Pharr received into the church upon examination the first colored members, Hannah and George Sampson. It was evident from the 1840 ledger of the Commissioner of Revenue that Mr. Pharr owned two slaves and was taxed accordingly. The names of these two slaves were not given. Upon the death of Mr. Pharr in 1852 the Reverend A. L. Hogshead became pastor of the Covington Presbyterian Church and served in that capacity until 1856. Thirty-one members were added to the fold under Reverend Hogshead. Mr. Hogshead left for another church in 1856. The pulpit was vacant for some time and it was during this period that worship services were held in homes of members, perhaps in order to save fuel and the labor of cleaning the church building. In 1881, the Reverend W. A. Dabney became pastor of the Covington Presbyterian Church and served for two years. He was succeeded by the Reverend W. E. Hill, who served from 1883 to 1889. “The Ladies Aid Society” was organized by Reverend Hill. Miss Mag McCurdy served as the first president until she was forced to retire in 1916 due to failing health. The church was without a minister from 1889 to 1891. This vacancy was filled by the Reverend Colin Stokes who served until 1904. Two kinds of building took place under the guidance of Mr. Stokes. On April 28, 1895 a congregational meeting was held to decide whether or not a new church building should be erected. It was decided that a new church should be built by a vote of fifty-four to five. The need for a new church arose from structural damage in the Main Street church building. On November 1, 1895, Lot 30, on the corner of Maple Avenue and Riverside Avenue (then Water Street) was deeded by Joseph M. Boswell, Virginia C. Boswell, and J. J. Hobbs to the trustees of Covington Presbyterian Church; J. B. Long, E. K. Dressler, and Charles Clarke, for the sum of $1000.00. The new church building was completed in 1896. Loving Funeral Home is presently located in the building. The second building project under Mr. Stokes was in relation to the Presbyterian Chapel in Mallow. 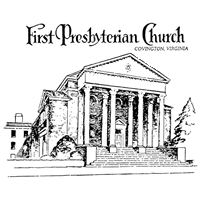 The first members were received into the Presbyterian Chapel on September 20, 1896. The members met in the Bend Schoolhouse on Mallow Road. On September 5, 1899, Mrs. Charlotte A. Bridgett donated land for the building of a church. The new church building was erected after the schoolhouse burned. It remained as a Presbyterian chapel until November 24, 1940 when it was organized by Presbytery as the Mallow Presbyterian Church with 178 charter members. Reverend Stokes was succeeded by the Reverend Clyde Sheltman, who served from 1904 to 1907. The Reverend E. C. Lynch was then called to served as pastor and did so until 1912. The Reverend Thomas Kay Young came to the church in 1912 and served as pastor until 1918. Dr. Young also served Logan and Holden Presbyterian Church in West Virginia (1911-1912), First Presbyterian Church in Lexington, VA (1918-1924), First Presbyterian Church in Roanoke, VA (1924-1930), Idlewild Presbyterian Church in Memphis, TN (1930-1954), and was moderator of the General Assembly of the Presbyterian Church U.S. (Southern) in 1945. It was during his time in Covington that McAllister Memorial Presbyterian Church was organized. The church was named in honor of Mr. William McAllister of Warm Springs, VA and Mr. A. A. McAllister of Covington, VA. Covington Presbyterian Church contributed to the building fund of McAllister Memorial Presbyterian Church until the last debt was paid. Dr. Young was followed by the Reverend D. J. Woods who served from 1919 to 1921. It was on March 2, 1919 that the name of the church was changed from Covington Presbyterian Church to the First Presbyterian Church. This name was more indicative of the church’s founding role in the Presbyterian community. The Women’s Auxiliary was strengthened under the guidance of Reverend Woods. The “Pastor’s Aiders” organization came into being under Dr. Woods. The Reverend J. Harry Whitmore became pastor of First Presbyterian Church on January 16, 1921 and remained until 1927. It was under Dr. Whitmore that the present church building was erected. The original lot was purchased from J. H. and Mary Evelyn Carpenter for $13,500.00 on May 5, 1920. On May 7, 1921 the congregation awarded the contact to the Harrison Construction Company of Petersburg, VA. The architect was Nevin, Wishmyer and Morgan of Louisville, KY. On May 21, 1922 a ground breaking ceremony was held with Mrs. Annie T. Stokes, wife of Reverend Colin Stokes, turning the first trowel of dirt. The last service was held at the old building on March 23, 1924. 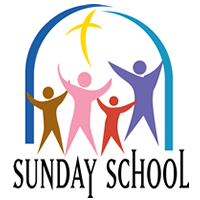 On Sunday morning, March 30, 1924, the Sunday School, led by Harold G. Bell, superintendent, marched down Maple Avenue to the new building. The Reverend Wilbur M. Smith became pastor in May of 1927. He served until 1930. He was succeeded in January of 1931 by the Reverend J. E. Cousar, Jr. Dr. Cousar had been a missionary to Japan prior to his pastorate in Covington. He remained at First Presbyterian Church for thirteen years. In 1939, First Presbyterian Church began a Sunday School in the Altamont section of the community. This chapel grew and on February 3, 1952 it was organized into the Altamont Presbyterian Church. First Presbyterian Church liquidated its building indebtedness in 1943. This occasion was formally celebrated on May 2, 1943 with a “Mortgage Burning and Home-Coming Day.” The entire cost of the building with all of its equipment, including all interest paid to date, was $145,839.89. The Reverend C. J. Hollandsworth was called by the congregation to serve as pastor in 1945. He served First Presbyterian Church until June of 1949. Dr. Hollandsworth helped to organize a Young Couple’s Sunday School Class for the returning servicemen. In 1950 the Reverend F. Hubert Morris became pastor and remained at First Presbyterian Church for eleven years. The educational building and the chapel were added during his tenure, thus tripling the educational facilities. The Reverend Milton S. Carothers succeeded Dr. Morris in April of 1963 and served as pastor until 1969. The manse on Riverside Avenue was sold and a new manse was built in Oakwood Forest. The sanctuary was renovated in order to accommodate the new pipe organ constructed by Casavant Freres Limitee of St. Hyacinthe, Quebec, Canada. The architectural firm of Grigg, Wood and Browne was able to create a more equitable balance between the Word and sacraments as emphasized by Calvin. Heretofore, more importance had been placed on the Word. The sanctuary was renovated with greater focus on the sacraments accomplished by the physical and visual importance of the communion table and baptismal font. However, this was accomplished without diminishing the importance of the proclaimed Word through the use of the wine glass pulpit. There are currently seven sons and daughters of the church who have pursued the ministry. Marion Lenwood Topham was ordained July 24, 1948, Harry Samuel Topham was ordained May 31, 1953, Paul LaVern Hanks was ordained May 29, 1955, Dayton Ronald Glover was ordained July 23, 1961, Claude Ashton McMillion was ordained July 26, 1964, James Donald Glover was ordained July 26, 1964, and Paul Winslow Beazley was ordained July 20, 1965. First Presbyterian Church was served by an interim pastor, the Reverend William B. Gold, from October 19, 1969 to February 25, 1970. He was succeeded by the Reverend Burton J. Newman who served until 1978. The Reverend Murray Page followed Dr. Newman and remained at First Presbyterian Church until 1985. The Reverend Carl C. Schiffeler served as the interim pastor from November 1, 1985 to July 31, 1987. He was succeeded by the Reverend James A. Rohne who served as pastor from 1987 to 1998. The church celebrated its 175th anniversary during 1994 and hosted the May meeting of The Presbytery of the Peaks that year. The Reverend Dr. William Leonard was interim pastor from 1998-2000. The Reverend Dr. William G. Caperton followed as minister from 2000-2004, during which time the congregation changed from a bicameral to unicameral form of government. After a committee studied issues of accessibility of the church building for disabled persons, changes were made to the Locust Street entrance to the educational wing and a stair lift was installed near the parlor for access to the sanctuary. During this time, the manse in Oakwood Forest was sold. From 2004 to 2006, the Reverend Dr. Edgar C. Mayse served as interim minister. During this time, a special music ministry to the community began with the Music on the Corner Recital Series – four concerts during Advent, five during Lent and five to six during the summer, plus other concerts periodically. These concerts feature talented area residents and occasional touring performances. Many in the community also attend the church’s traditional Christmas Eve Service of Lessons and Carols. The Reverend Jamie B. Pharr became pastor in 2006. An additional music ministry and music education opportunity for the community’s young people was established in 2006 when the church created and staffed the Alleghany Highlands Children’s Chorus for young singers ages seven to eleven. In May 2009 the congregation celebrated Sandra D. Minter’s 31-year anniversary as Director of Music. Presently, several members are serving on committees of The Presbytery of the Peaks. The minister and members of the congregation have made several recent mission trips to Romania, Ukraine and Brazil and the church continues its long history of support for many other mission projects both locally and abroad. As we now celebrate our rich pageant of history, the very foundation of our existence, we must look to the future with equal endeavor. The great ends of the church are the proclamation of the gospel for the salvation of humankind; the shelter, nurture, and spiritual fellowship of the children of God; the maintenance of divine worship; the preservation of the truth; the promotion of social righteousness; and the exhibition of the Kingdom of Heaven to the World. Morton, Oren F. Centennial History of Alleghany County, Virginia. Carpenter, Evelyn H. History of the Women’s Work of the First Presbyterian Church, Covington, Virginia.